TERE, „TERE, KEVAD!“ HUVILISED, LOODUSEMATKAJAD JA KÕIK SUURED JA VÄIKESED LOODUSESÕBRAD! MEIE OLEME PUHJA LASTEAIA „PÄÄSUSILM“ RÜHMA „KULDVÕTI“ LAPSED. OLEME „TERE, KEVAD!“ PROJEKTIS JUBA TEIST AASTAT. LOODUSRETKED MEILE MEELDIVAD. TAHAME JÄLLE KEVADEMÄRKE ÕPPIDA. KUI ME MÕNE KEVADEMÄRGIGA TUTTAVAKS SAAME, SIIS ME ÜTLEME TALLE „TERE!“ TUTTAVAID TULEB JU TERETADA. MEIL ON HEA MEEL, ET MEIE RÜHMAL ON NII ILUS NIMI „KULDVÕTI“. SOOVIME KÕIGILE LOODUSESÕPRADELE ILUSAT KEVADET NING KEVADEMÄRKIDE OTSIMIST! 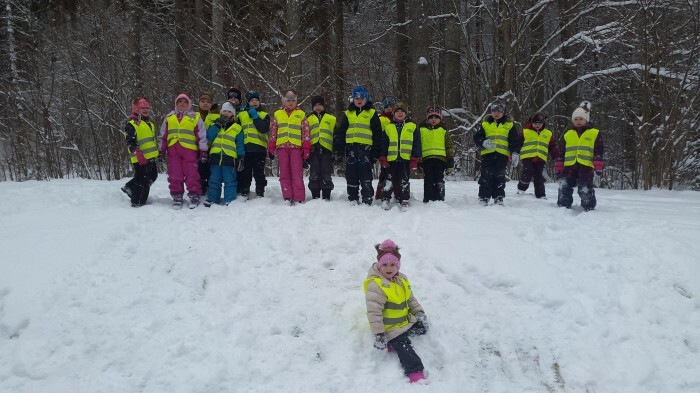 KUI KULDVÕTMEID LEIATE, SIIS MÕELGE MEILEGI! TERVITADES PUHJA LASTEAIA KULDVÕTME RÜHMA 5-7 AASTASED LAPSED JA ÕPETEAJAD. LAURI, KIARA, KEVIN, KRIS, EMMA GUDRUN, ANNALIISA, MIIA, SASKIA, MAIROLD, ROMAN, JANE, KAREL, OLIVER LAURI, TANEL, KERMO, NIKITA, ANETE, MÄRT, RAINER, MARIIA, REIO, EKKE MIHKEL, KARL-KENDER, MATVEI.